This tincture may give the functions of replenishing vital energy, nourishing and activating blood, dispelling wind and promoting the growth of hairs. 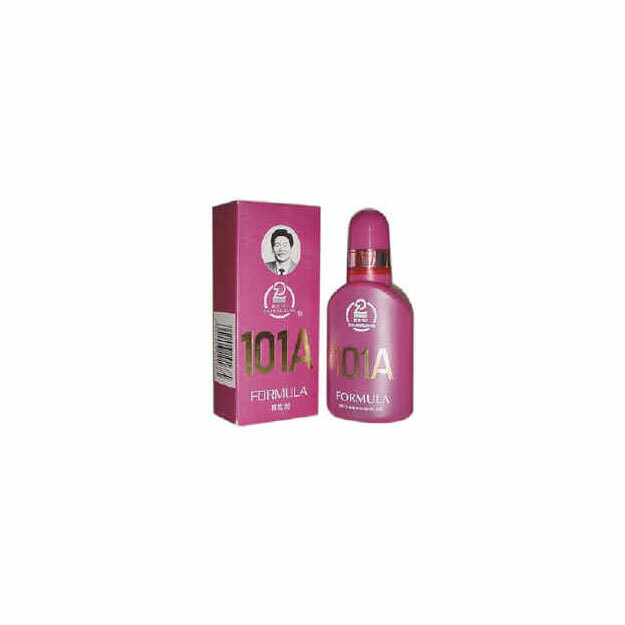 The 101 Pilatory Tincture Series were successfully developed in 1974 by a very outstanding Chinese physician for baldness Zhao Zhangguang, after studies with great concentration on baldness nearly twenty years. He had repeatedly reformed the Series more than a hundred times. The Series are sorts of liniment purified and extacted from many species of natureal plants with modern technology. It is a regenerating and nourishing hair treasure of Chinese Traditional Medicine. Baldness, loss of hair, seborrheic alopecia, alopecia areata, and alopecia capitalis totalis. This tincture may give the functions of replenishing vital energy, nourishing and activating blood, dispelling wind and promoting the growth of hairs. Promotes the flow of vital energy by warming the channels, by expelling wind, removing dampness, by promoting blood circulations through removing blood stasis, by nourishing muscles and skins. The results of 395 cases observed by Zhao Zhang-Guang himself indicated that the total effective rate for seborrheic alopecia is 84%; 95% effective rate for controlling the falling of hairs in the early stage, and 85% effective rate for controlling the falling of hairs in the middle stage. Local scrub with about 5mL of the tonic once daily. Massage slightly with fingers at the bald skin to promote the penetration of the tonic. Usually the falling of hairs will be stopped after two to three usage. Keep out of reach of children. The formula is for external use only and not to be used orally. Persons who are anaphylactic to alcohol would be cautious in using.